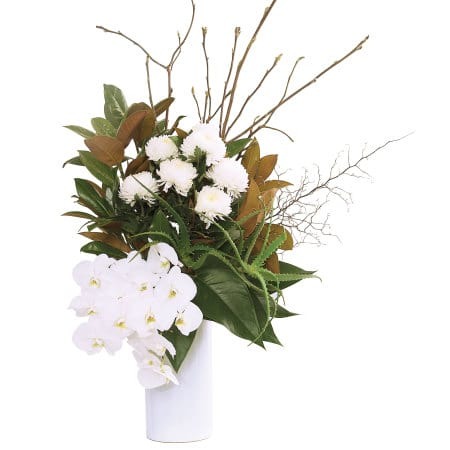 Our premium white orchid vase in a tall ceramic vase is a stunning design perfect for celebrating a special occasion, displaying in an office reception, for parties and events, or when wow factor is required. 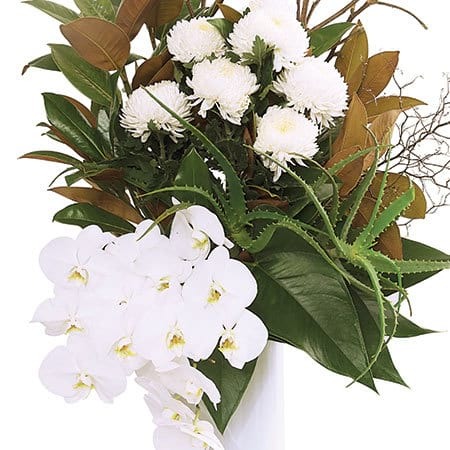 Filled with jumbo white chrysanthemums and tropical white Phalaenopsis orchid stems, tall branches, aloe vera and lush tropical foliage, this flower arrangement is supremely elegant and contemporary. Order online for Sydney delivery. Questions? Give us a call on 1800 66 66 46.